Church Event Planning – This guide will help you to plan a successful Church Event. Church event budgets can range from $5. to $30. per person, depending on food and beverage, and entertainment. Food will often comprise 50% of the budget, with the other 50% allocated to entertainment, rentals and prizes/giveaways. The event may be for fund raising, building awareness about your church, or just an appreciation event. No matter what your purpose, having a theme will help to create excitement about your event. The date of your event may be determined by the church calendar, entertainment and vendor availability. Often this step is planned months in advance, especially if it’s a popular time of the year (such as the last two weeks in October). Fundraising event planners should check the local social calendar, to see that there are no major conflicts. Most events will last for about four or five hours. Most church events are held on church grounds. The big choice is either an indoor or outside location. Occasionally, a large event will need to be held elsewhere, and then a rental fee may have to be paid. Regardless of the location, it should be easily accessible to your attendees, be comfortable and have adequate parking. Entertainment may be provided by church members or professional paid entertainment. Either way, it should fit the theme of your event. Some of the most popular entertainers include clowns, balloon artists, face painters and caricature artists. Vendors should have equipment needed for your event and should have been in business for at least five years. An experienced vendor will be able to give advice on the equipment needed and placement. Most often, the food at church events may be pot-luck or covered dishes. Some churches will hire a caterer (often a church member) to provide the food. Some events will have a sit-down dinner, while others a buffet. Space is often a consideration when planning the food and beverage selections. You need to plan for lines (sometimes long) at the buffet. Most church events will have some type of prize giveaways. The number of prizes to be given away is often based on the number of attendees, in addition to the budget supplied. Often, many churches will have donated prizes from their vendors or members. A nice Grand Prize will attract more attendees to your event. Raffle tickets may be purchased from your local party store. 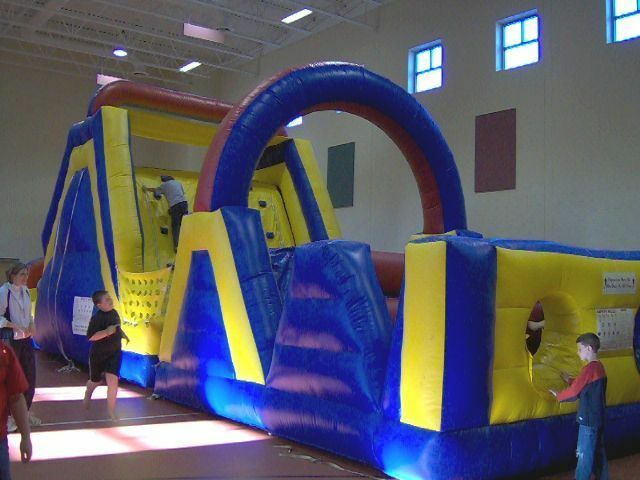 Church Event Planning - Since 1985, Funtastic Events Inc. has been providing entertainment and amusement rentals for churches and other non profits all over north Georgia and the southeast.